Get certified in CPR, First Aid, and Lifeguarding through our Red Cross Certification Courses.​ Financial Assistance can not be applied to Certification Classes. ​Registration Only: Members $190. Non-Members $225. Registration Only: Rec Center Members $75. Non-members $95. 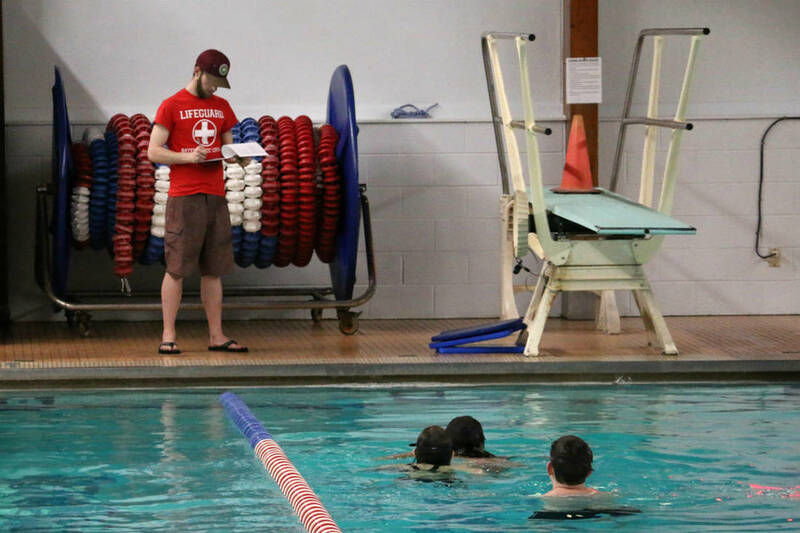 An abbreviated Lifeguarding course that briefly reviews course information and allows practice of skills and knowledge before testing. Current certification in Red Cross Lifeguarding/First Aid/CPR/AED is required to participate in the review course. Students who successfully complete this course will receive a certificate for Lifeguarding/First Aid/CPR/AED which is valid for 2 years. ​Registration Only: Members $75. Non-Members $90. ​Registration Only: Members $60. Non-Members $75. The Adult and Pediatric First Aid/CPR/AED review course is an abbreviated course that briefly reviews course information and allows practice of skills and knowledge before testing. Current certification in Red Cross Adult and Pediatric/First Aid/CPR/AED is required to participate in the review course. Students who successfully complete this course will receive a certificate for Adult and Pediatric First Aid/CPR/AED valid for two years.